From Borderies terroir! 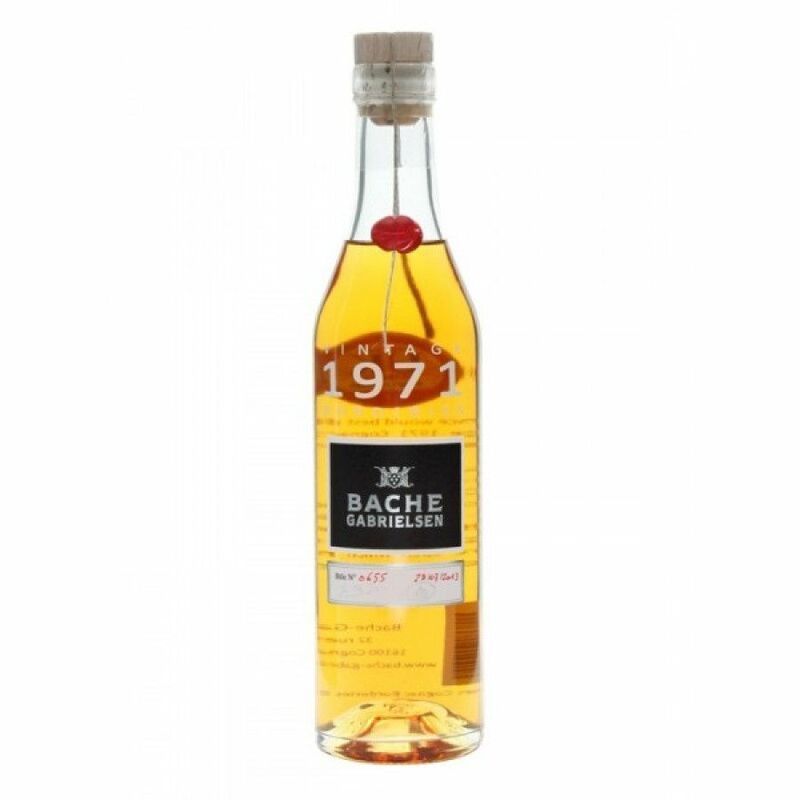 The Bache Gabrelsen Vintage 1971 Borderies Cognac is, as the name suggests, a vintage from the year 1971. This 35cl sized bottle is a wonderful old eaux-de-vie from the Borderies terroir - a growth region that's one of the smallest (and therefore in limited supply) of all the growing areas in Cognac. Bache Gabrielsen pride themselves in following the traditional methods handed down over the generations, and they view the creation of their Cognacs as an art. So it's no wonder the delights they produce are all of superb quality. This 1971 vintage is certainly no exception. It represents extraordinary value for monehy for a vintage Cognac - a wonderful addition to any Cognac collection. I bought this cognac because it is my birth year. It has a slight punch afterward. The value is extraordinary for the age. The finish was smooth and complimented the aroma taste. Not as good as the 1973 vintage by Bache (one of my favorites), but really close. Lovely stuff, and for a vintage, surprisingly round & smooth. Nice flowery taste. Present but not dominating. Happy on the nose!